The fundamental shift to “Fat as fuel” provided by Vespa’s OFM protocol makes for an equally fundamental shift in physiology. In so many metrics of health and performance Vespa/OFM athletes simply do not fall into the normal parameters. One particular area is Cholesterol / Lipids. Because Cholesterol is a form of FAT and is the supplier of every single building block to every single component in your body (cell wall membranes, mitochondria, hormone, enzymes, etc.) it only makes sense to Optimize Fat Metabolism (OFM). This is the other side of OFM people ignore……it’s NOT just about energy delivery. It’s about robust health as much as anything else. 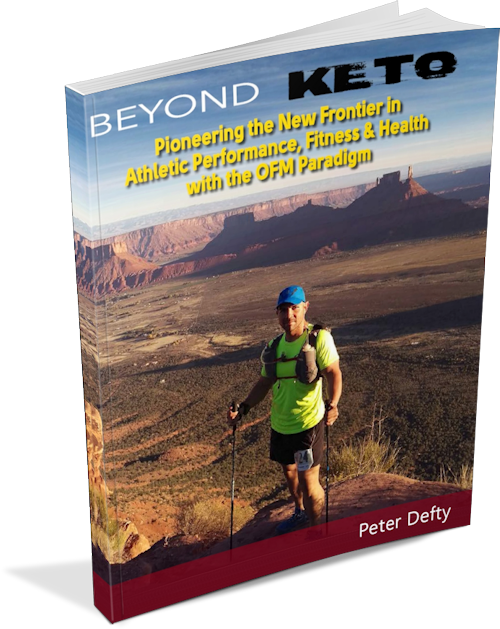 Fat Adapted/OFM athletes typically see a significant increase in overall Cholesterol, including LDL Cholesterol, but with sharp drop in Triglycerides, Insulin and HbA1c. This is highly dynamic and numbers can change quickly based upon a number of factors. All of this runs directly counter the established medical thinking and body of science but is only now beginning to emerge in the science. Because our focus has been on developing fat metabolism to performance levels, we’ve been seeing this phenomenon for years, working with it rather than against it and understand this paradox is actually how the body is meant to work. In other words, when you OFM, higher cholesterol is not only benign but a marker of health. So where is the disconnect? Cholesterol becomes a problem if it’s NOT being metabolized properly. Too many dietary carbohydrates and too much food/calorie intake on a chronic level prevent optimal cholesterol metabolism so cholesterol accumulates in blood stream and deposits in soft tissue rather than be metabolized to build, rebuild and preserve your body. And, because the high levels of glucose from carb/sugar consumption are acutely toxic (just ask any Type 1 Diabetic), the body’s physiology forces glucose to be metabolized preferentially, ahead of cholesterol and fats so it can get rid of the TOXICITY! Excess carbs and food/calories on a chronic basis represents the majority of the modern diet in 1st World Countries so it would reason the entire body of science is based upon on a flawed model of what health SHOULD be! Vespa/OFM Collaborator, Dave Feldman, has written up some very easy to understand blog posts here and here to help the layperson understand how Cholesterol metabolism is suppose to work when we burn fat as our aerobic energy source. You can also listen to our podcast on the subject here.